Come and experience hands-on education with fun, creativity, and photography. Listed below are current workshops and seminars available. To register for workshops, click the link below each workshop description listed below. Ken Sklute is also available to create private workshops both here in North America as well as abroad. If you feel that you learn better with one on one education or have a few friends that would like to design a custom itinerary, contact Ken. 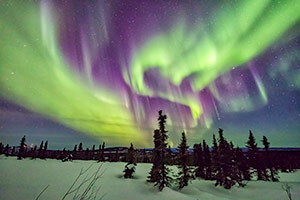 Join Aurora Explorer Ken Sklute in Fairbanks, AK to photograph the dancing lights of the Aurora Borealis. The natural phenomenon of the Northern Lights provides astrophotographers with opportunities to photograph the night sky with colorful displays of green, pink and violet. You will quickly see why Aurora Borealis has been called Nature’s theater. Ken Sklute will take you out each evening for an adventure chasing the Aurora and provide on-location instruction on how to capture this celestial wonder creatively. 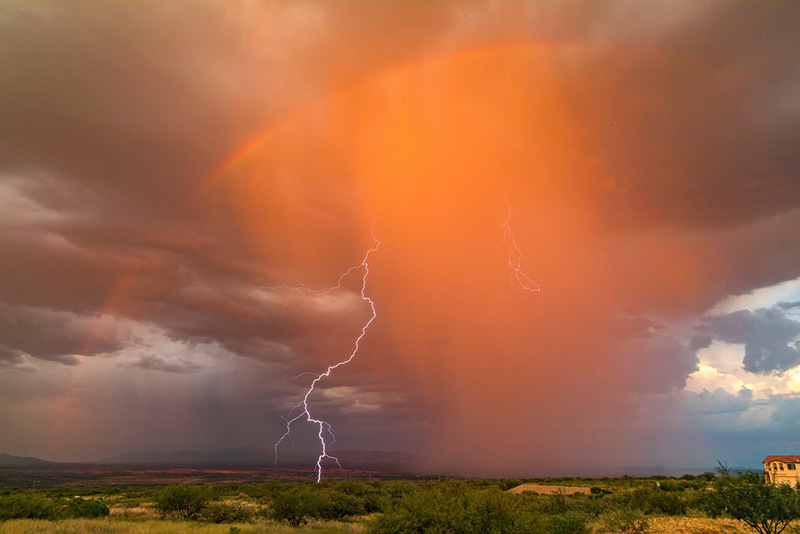 Although capturing lightning is dependent upon one element that you cannot supply, you still have lots of homework and planning. Like a good chef, it all comes down to prep. We will be traveling near and far, depending on where the storms will occur each day. You will have access to the finest lighting capture equipment, the Lightning Trigger which will help you capture daytime lightning as well as when the sun goes down. Click here for dates and registration. Photographing the clear nighttime sky in Arizona is something that you will likely never forget. We have selected very particular times of the month to give you the opportunity to capture your preference of the nighttime sky. 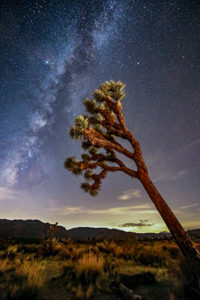 We are running a New Moon timeline (which is totally dark) to capture the Milky Way at its best, most rich and vivid time as well as working under the light of the full moon to capture star trails, fully lit landscapes and even time lapse capture to detail the Earth’s rotation along with the changing sky. Mt. Rainier is the tallest glaciated peak in the contiguous 48 states at 14,410′. It’s glacial umbrella is responsible for more than 150 waterfalls, many over 300 feet in height and provides mesmerizing photo ops throughout the park. From the ancient alpine forests that flank the lower slopes to the meadows of wildflowers, Mt. 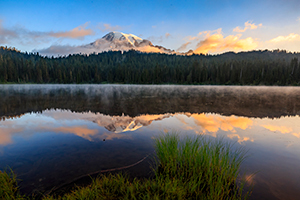 Rainier National Park is the perfect summer photo adventure. 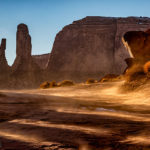 Under the expert guidance of Photographer Ken Sklute, you will be in the right place at the right time for the most creative photographs of this magnificent National Park. We will be visiting Mt Rainier during the New Moon so we can capture the Milky Way above this gorgeous mountain with a dark moonless sky. Are you a fan of steam locomotives? Imagine chasing these locomotives through the magnificent New Mexico and Colorado mountains in the fall! Ken Sklute will make this a reality. 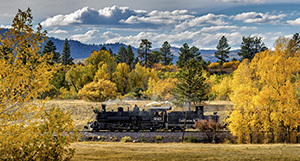 Ken has captured some of Americas most beautiful steam locomotives as they make their way through the best locations. 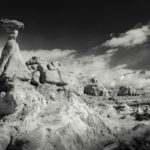 In order to highlight these powerful machines Ken will share with you his methods for being in the right place at the right time with the correct camera and lens. 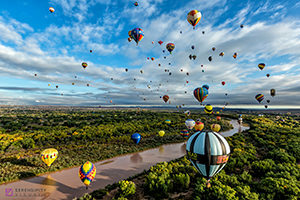 The Fifth Dimension had it right when they sang, “Up, up and away in my beautiful balloon” and no where else can you appreciate that more than at the spectacular Albuquerque International Balloon Fiesta. Over the past five decades, this festival has grown from just 13 balloons in its inaugural year of 1972 to attracting upwards of 600 balloons today. Considered the largest balloon event of its kind, it’s also considered the most photographed event in the world, with more than 25 million still photographs taken during the mass ascension, balloon glow, fireworks and more. Led by Hot Air Balloon Pilot Ken Sklute, you will receive his expert guidance and insight on being at the right place at the right time to capture the most creative images of these colorful giants. Interested in what people think of the seminars and workshops? Check out the testimonials. Interested in creating your own custom workshop? Contact Ken for more details.